Throughout the history of Dublin School, students and faculty members have dabbled with the art of producing maple syrup, but until recently, operations remained fairly small and simple. Nowadays, small and simple operations are quaint, but modern methods must be embraced in order to achieve greater success. Dublin School’s outdoor program has done just this. To date, we have installed several miles of modern tubing throughout the woods on our campus. While nearly 100 buckets still hang from our trees in the weeks of late February and March, most of the maple sap travels by gravity through the tubing systems to collection tanks far down in the woods. For the past three years, dedicated students, faculty, staff, alumni, and friends have joined forces to tap nearly 800 trees and collect the thousands of gallons of sap that flow each spring. For decades, Dublin School has been producing Maple Syrup. Through work gang interactions and faculty dedication, students have an opportunity to broaden their education through hands-on learning, blending old world science with modern technology to yield a famously delicious sweet treat. This experience also instills the meaningful value of hard work. 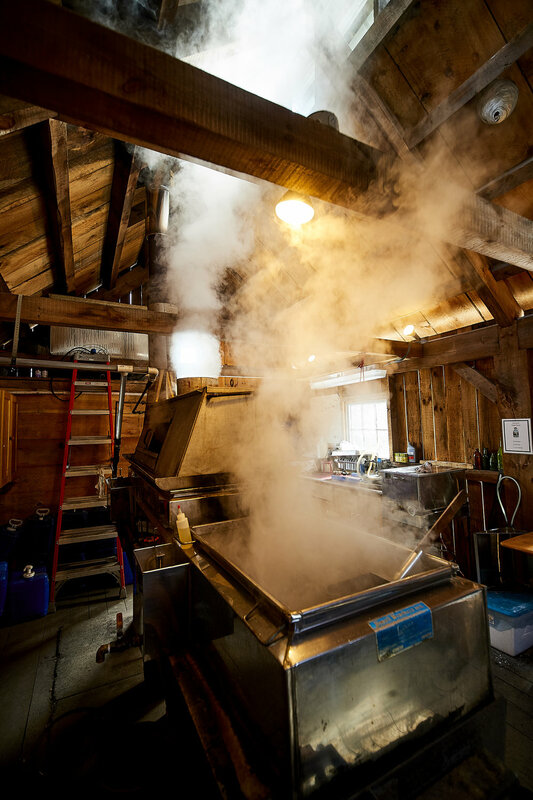 It takes 40 gallons of maple sap along with vast amounts of time to produce one gallon of PURE MAPLE SYRUP. We hope you enjoy this product as much as we enjoyed making it. Maple Syrup is graded, based on its final color and taste. Everything Dublin School produces is Grade A and goes from: Golden Color, Delicate Taste; Amber Color, Rich Taste; Dark Color, Robust Taste; Very Dark Color, Strong Taste. We produce and supply all grades to our buyers. Unfortunately, we cannot deliver Maple Syrup based on a particular taste.